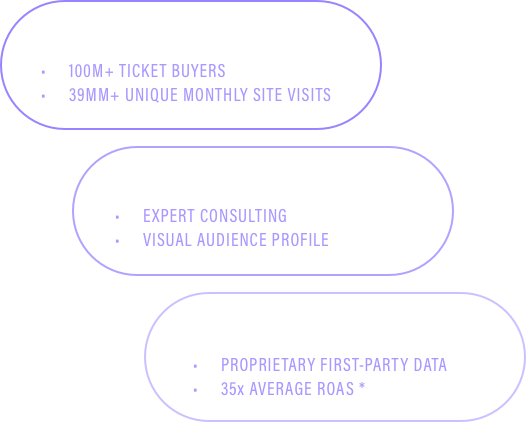 Our curated list of festival fans alongside Ticketmaster’s database of over 100 million ticket buyers gives Front Gate the largest reach and most powerful database in live entertainment! Utilize our best-in-class audience and data visualization tools alongside a fully integrated enhanced e-commerce Google Analytics profile to track your efforts and refine your marketing approach. 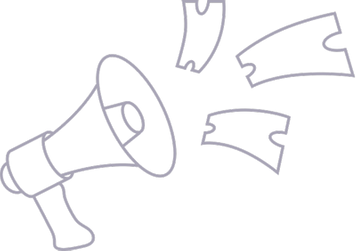 Leverage our first-party data, advertising partners and affiliate networks to reach the right customers at the right time across Social, Streaming and the Web.